Healing properties of marva (Sage,Salvia) is known in since from ancient times. It is used for both prevention and treatment of many diseases. 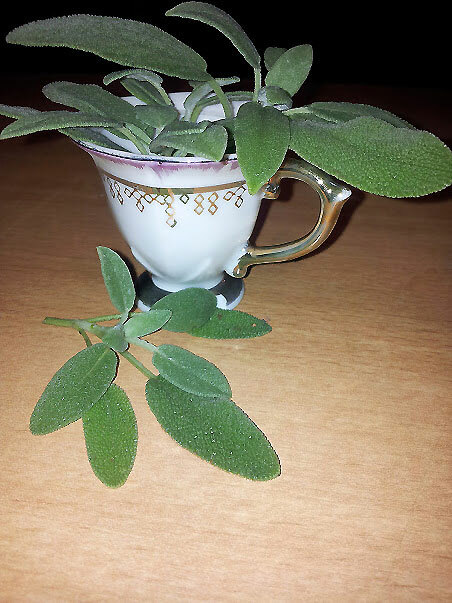 Tea with sage will help you feel better. In the sage are many antioxidants that help eliminate free radicals from the body. Thus the use of sage is the prevention of cancer and heart disease. Tea with sage also perfect remedy for the treatment of diseases of the throat, it has anti-inflammatory properties, helps to get rid of unpleasant sensations in the throat during a cold. Sage is considered as a wonderful tonic and a tool that will help to cope with profuse sweating and stomach cramps, female infertility and even diabetes! Sage is used in folk medicine for sore throat, stomatitis, laryngitis, pulmonary tuberculosis, edema, arthritis, atherosclerosis, sciatica, and gynecological diseases in the form of douches. Sage and used in peptic ulcer disease, gastro-intestinal inflammation, colitis, gastritis, liver and kidney diseases, as well as for the treatment of septic wounds. Useful properties of sage may be necessary for men. Decoction and infusion of sage plants, is an excellent tool for strengthening capillary bulbs that can slow the balding process and sometimes even stop it; there are quite a number of shampoos, which is present in the extract of sage. 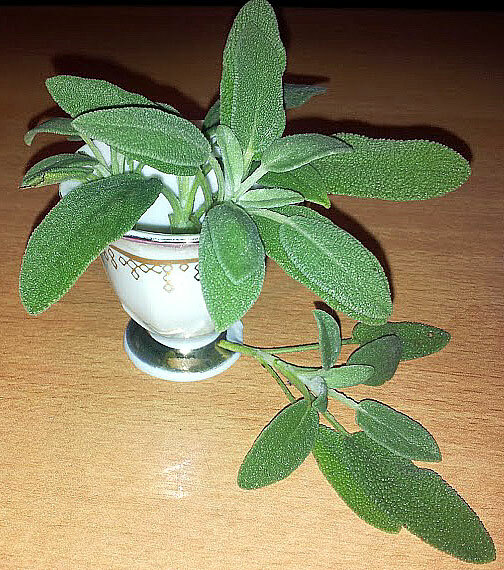 Sage sometimes is considered as plant of longevity. Sage purifies the blood, cures respiratory system, liver, stomach and skin. As a spice can be used young sage leaves, adding them to salads, vegetable and fish dishes. More often used in dried form, using a strong pungent, spicy and bitter taste. Sage rinse – an indispensable tool for the treatment of inflammation of the tonsils, throat, gums, oral mucosa, with fluxes, periodontal disease, sores on the gums. The leaves of sage contains vitamins, volatile, essential oils, alkaloids, flavonoids, organic acids, resin and tannin, natural antioxidants, and a lot more useful things. Sage has a pronounced anti-inflammatory, antimicrobial, hemostatic, tonic properties, increases the secretory activity of the digestive tract, the secretion of gastric juice significantly reduces perspiration. Even in ancient times was considered a female sage medicine. Modern doctors have confirmed that it contains plant hormones by the action on the female body in something similar to estrogen. Therefore, attempts to ancient fashionistas rejuvenate the skin with daily use of infusion of sage, is not devoid of meaning!